October 21 is the 294th day of the year(295th in leap years) in the Gregorian calendar.There are 71 days remaining until the end of the year. The People's Crusade was a popular crusade and a prelude to the First Crusade that lasted roughly six months from April to October 1096. It is also known as the Peasants' Crusade, Paupers' Crusade or the Popular Crusade as it was not part of the official Catholic Church-organised expeditions that came later. Led primarily by Peter the Hermit with forces of Walter Sans Avoir, the army was destroyed by the Seljuk forces of Kilij Arslan at Civetot, northwestern Anatolia. Year 1097 (MXCVII) was a common year starting on Thursday of the Julian calendar. The Hongwu Emperor, personal name Zhu Yuanzhang, was the founding emperor of the Ming dynasty. Year 1409 (MCDIX) was a common year starting on Tuesday of the Julian calendar. Zhenzhu Khan, personal name Yi'nan (夷男), full regal title Zhenzhupiqie Khan (真珠毗伽可汗), was a khan of Xueyantuo, under whom Xueyantuo rose from being a vassal of Eastern Tujue to a mighty khanate ruling over northern/central Asia. During his reign, Xueyantuo largely aligned with China's Tang Dynasty, even though the two states were at odds at times, with the most serious dispute involving Tang's attempt to reestablish Eastern Tujue as a vassal state under the Qilibi Khan Ashina Simo—an attempt that eventually failed due to frequent incursions by Yi'nan's army against Ashina Simo. Throughout Yi'nan's reign, Xueyantuo remained powerful despite Tang attempts to curb its power, but after Yi'nan's death, a succession dispute between his sons, Bazhuo and Yemang (曳莽), led to Bazhuo's killing of Yemang and subsequent internal unrest. Further, Bazhuo attacked Tang, resulting in a major Tang retaliation campaign that, along with a revolt by the Huige, led to Xueyantuo's destruction in 646. Saint Asterius of Ostia was a martyred priest. Information on this saint is based on the apocryphal Acts of Saint Callixtus. According to tradition, he was a priest of Rome who recovered the body of Pope Callixtus I after it had been tossed into a well around 222 AD. Asterius buried Callixtus' body at night but was arrested for this action by the prefect Alexander and then killed by being thrown off a bridge into the Tiber River. Berthold was a Benedictine lay brother. Born in Parma, Italy, to Anglo-saxon parents, who escaped to Italy, from the Norman conquest of England. Berthold spent the majority of his life serving nuns in Parma, at the St. Alexander Convent. Charles I or Karl I was the last Emperor of Austria, the last King of Hungary, the last King of Bohemia, and the last monarch belonging to the House of Habsburg-Lorraine. After his uncle Archduke Franz Ferdinand of Austria was assassinated in 1914, Charles became heir presumptive of Emperor Franz Josef. Charles I reigned from 1916 until 1918, when he "renounced participation" in state affairs, but did not abdicate. He spent the remaining years of his life attempting to restore the monarchy until his death in 1922. Beatified by Pope John Paul II in 2004, he is known to the Catholic Church as Blessed Karl of Austria. Apple Day is an annual celebration of apples and orchards, held in October. 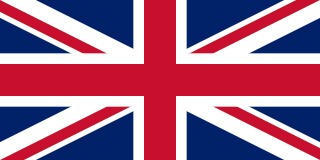 It is celebrated mainly in the United Kingdom. It traditionally falls on 21 October, the date of the first such event in 1990, but events are held throughout the month. It is commonly a weekend event, usually taking place on the Saturday and Sunday closest to 30 October. Public holidays in Honduras are centered on Christianity and the commemoration of events in Honduran history. Each celebration is very important to many families across this country. They are often celebrated with extended family members, and friends. On a few of the most important holidays, such as Independence Day and holy week parades and processions are held from early morning to later in the afternoon or evening. ↑ ‘Sfòrza, Alessandro, signore di Pesaro’, Dizionario Biografico degli Italiani. ↑ "Eulogy for Leela Vernon". Amandala Newspaper. 2017-03-04. Retrieved 2019-01-03. Wikimedia Commons has media related to October 21 .